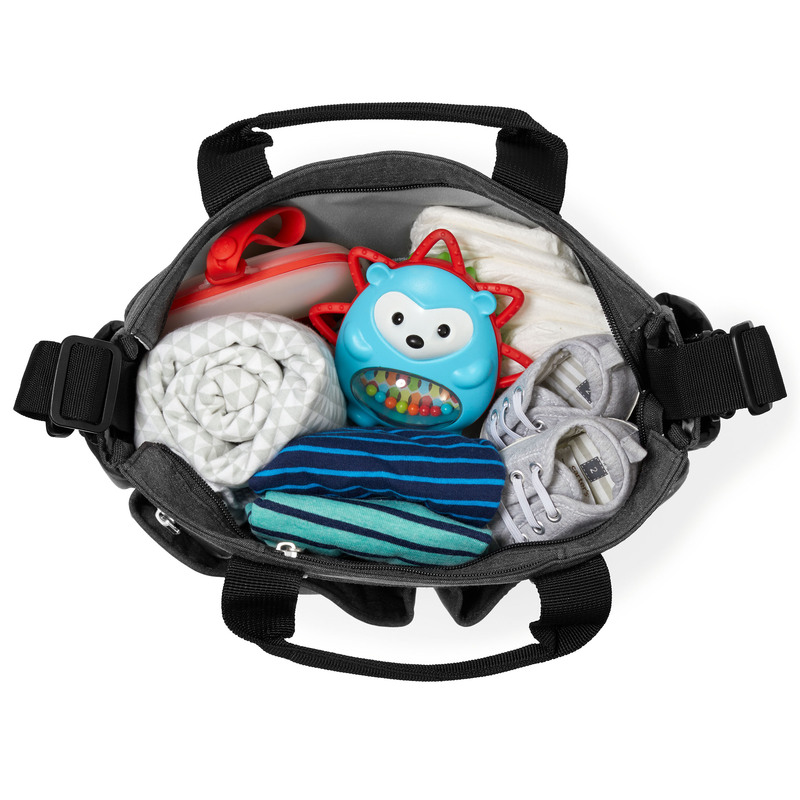 Skip Hop Duo Signature Diaper Bag takes your favorite diaper bag to the next level of functionality and style. The updated Duo Signature boasts a bevy of new features that moms and dads have requested. The new zip-top closure ensures belongings stay securely in the bag. 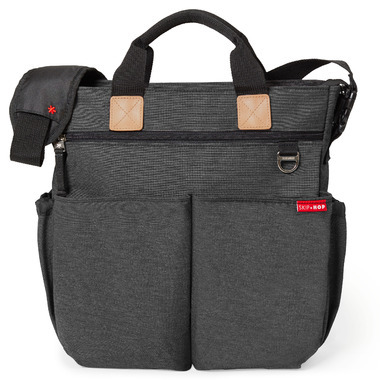 Skip Hop has added tote handles for versatility and an easy-access tech pocket. The new front panel design allows for more storage and stability while keeping items at the bottom of the bag easily accessible. 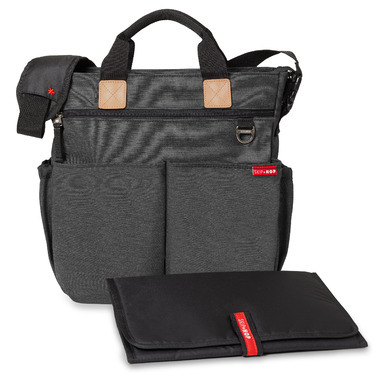 The Duo Signature still has all the classic components of the original including our patented shuttle clips that easily convert it from a shoulder bag to a stroller bag. Signature is a classic redesign for the next generation of parents. 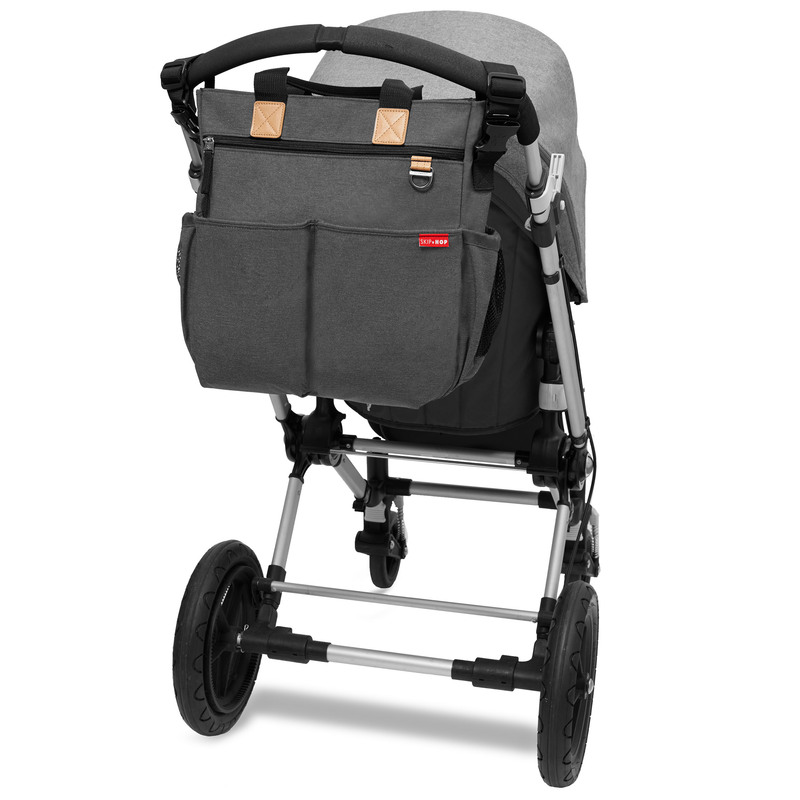 I like this diaper bag as itâ€™s light, discrete and practical but I find it slightly small. Itâ€™s convenient for day-to-day use but not for longer trips.